I was a broadcaster on radio Kol Chai. I have presented over many years in many media outlets. If I would apply for a position at the Broadcasting Authority , At Army Radio or at any government office - even for a position to serve tea - they would not accept me. Because I did not take the Bagrut matriculation exams. I am an ignoramus. -- MK Yiisroel Eichler, speaking in favor of a proposal to equate yeshiva studies with an academic degree. The mayor is using these projects, about 1300 housing units targeted towards the secular public, as a balance to the fact that the construction in RBS (Goloventzitz, C1, C2 and further down D and E), is targeted to the haredi community. The mayor is proud of the attempt at keeping a balance of the city's population. 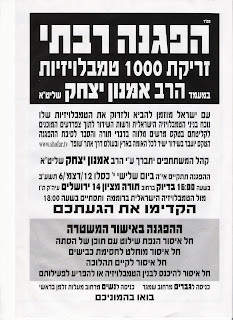 I find it to be a red herring, considering 1300 or so units are targeting the secular, while perhaps about 600 to the dati (the claim is that the approved "shchunat hamishkafayim" in RBS A is for the dati leumi), about 20,000 are being built and/or approved for the haredim - right now about 4000 are in the pipes, but the future RBS construction coming to approval will total about 20,000 - 22,000. Regardless of the red herring, I would find it ironic if the city went to all this trouble to find a way to build for the secular residents and allow them the opportunity to expand only to find the haredim buy out those projects as well, and begin expanding into "old Bet Shemesh". The only reason the city thinks it won't happen is because these projects are designed in a way that should not be attractive - no sukka porches and tall buildings with no shabbos elevator. These might be hindrances but it could still happen. This message follows a thread today on the Har Nof list and the BS/RBS email lists, warning about child molesters operating in Har Nof and in Bet Shemesh/RBS. We cannot stress enough that this is not an issue about other people's kids. It is about all our children, all of whom are unfortunately at risk from child abusers. Our working assumption is that there is a child abuser in every shul, in every school, on every street and in every extended family. Since "Magen" opened its doors a year ago, we have received dozens of calls from parents throughout the community. Thanks to the parents who stepped forward, our community is now a degree safer for our children than it was a year ago. However, most children do not tell their parents, and most adults who suspect a child may be in danger, do not report it. Not to the police and not to Magen. Therefore, please speak often and clearly to your children, of all ages, about child safety and the risks; make sure to be always sympathetic and receptive with your children, so that they always feel comfortable telling you ANYTHING that's on their minds, both mundane and (chas veshalom) very serious issues. If you would like guidance about how to best speak with your children about child abuse, please contact Magen. Even better, please arrange a group of friends, or a shul or school group, and Magen will provide a qualified speaker to educate us all on this important safety issue. If you wish to discuss a personal matter, Magen has set up a Hotline which is staffed weekday mornings and evenings as well as on Motsei Shabbat (see below for exact times). Anonymity on the Hotline is assured if so desired. If you suspect a child may be at risk, please immediately call the police or social services; if you require guidance or are seeking information, you are always welcome to consult with Magen's child protection experts. The good news is that we CAN, b'ezras Hashem, make our community a much safer place for our children. They call them "NachNachim", but I think it should really be "NaNachim". Anyway, here is the latest NachNach haircut (or maybe that would be the latest Nanach haircut). I am actually very impressed with the talent of the barber, er, the hair stylist, that did this. Are the burqas worn by the "Burqa-witzes" not modest? I don't mean from a philosophical perspective, such as perhaps they are out of place, attracting attention and the like. I mean are they actually immodest in the sense that physically they expose too much? I don't think there is a person in the universe that would suggest such a thing. That is, that is what I thought until this morning. It seems that the Burqa-witzes have come up with the newest chumra. If wearing a burqa, which entails wearing 7 to 8 layers of clothing to get rid of any possible appearance of the shape of the person beneath, along with the head coverings and the face covering, along with gloves and more to cover the hands completely as well, was not enough, now the women found a new chumra to pile on top of all that. According to this report, they have realized how immodest the burqa is. They have unwittingly been completely exposed in public (when they go out) and are ashamed of having allowed this to happen. They just realized that as the cloth of the burqa and mask drape over the woman's face, it forms, and displays publicly, the shape of her face. Problem. Immodest. To resolve the problem of immodesty, they have once again used their creative senses in fashion design. The place inside the burqa some sort of a pipe that sits atop the woman's head. Then, when the cloth of the burqa drapes over the woman's face, it is kept at a distance from actually resting on the face and forming the shape. Attraction Black Light theatre Silhouettes Pesach in Cancun 2011 America's Got Talent? 1. How About Just Letting Kids Play? 7. The Duggars, the family with 19 going on 20 kids with a reality TV show, were just in Israel. This report on CNN is just too ironic to pass up. A Pakistani woman named Zainab Bibi was arrested on suspicion of cutting her husband, Ahmad Abbas, into pieces. She then allegedly cooked the pieces in an attempt to dispose of the body without being caught. Needless to say, it didn't work. She was caught. Surely it must be a media conspiracy against Bibi. They always hate him. They just want Bibi to look bad. This poster that just went up around town cracks me up. The pashkevil was put up by the residents of the Heftsiba neighborhood, also known as Kneh Bosem neighborhood named after Rav Meier Bransdorfer, and it complains about two specific actions of the workers of the "haredi" Abutbol (mayor of Bet Shemesh). The first it complains about is them showing up one day and removing all the tzedaka boxes from the bus stops, packing them into the car and driving off. Luckily, as the car was leaving,some of the residents succeeded in saving the boxes to return to the owners. The second is regarding a beit midrash in the neighborhood that regularly suffers from the electricity shutting off due to inadequate supply. They took the initiative and raised money to buy a very expensive thick electric cable to connect the shul's electricity up to a neighboring building which would provide them with a stronger supply. They even made sure to hang the cable at a height of over 7 meters, to avoid any possible problems, when all that is required is 4 meters of height. There was no reason at all to stop them from doing this. Yet, lo and behold, the "haredi" Abutbol saw things differently and in his tricky smarts he sent his workers while the members were in the middle of shmoneh esrei, and they disconnected the local phones of the shul's gabboim for the duration of the work so nobody could call into the shul and let them know what was going on, who proceeded to cut the cable and remove it, taking it with them! Simple theft in broad daylight! Even worse is that this cable was so expensive that avreichim paid for it out of money they already donn't have enough of, taking it from money they would have used to buy food, just to be able to sit and learn Torah without disturbances of the electricity being turned off, and in the winter to have some heating. Perhaps the best part of it is how it is dated: Day One of the Order of "Lavan Ha'Arami" - as if to say these are the actions of someone behaving like Lavan. Today, November 29 2011, is the anniversary of a historic day in Israel's history. November 29, 1947 is the day the United Nations vted on, and approved of, accepting the partition of Palestine. The UN committee decided to abandon the mandate, giving the British one year to leave Palestine, while recommending the formulation of a Jewish state alongside an Arab state. To commemorate this historic day, the World Zionist Organization (WZO) are staging a re-enactment of the vote, and of how the Jews of Palestine had welcomed and celebrated the announcement of the decision. The re-enactment will be staged on King George Street in Jerusalem and will include props giving it the air of 1947 along with actors dressed up and playing the roles of the various leaders, diplomats, statesmen and other figures from back then. Also to commemorate the day, MK Danny Danon (LIKUD) is proposing a bill to declare November 29 as National Zionism Day. Interestingly enough, Kikar adds a haredi twist to the story. Because the re-enactment will include thousands of people "celebrating" in the streets, including mixed dancing as well as women singing, the way the event historically happened. As well, the figures of historic figures will be "present", portrayed by actors and actresses, including Zionist leaders of the time, such as Golda Meir, as well as the Chief Rabbis of the times. Kikar asked the Eida what they think of this event - both the event itself as well as the portrayal of the Chief Rabbis in front of mixed dancing and female singing. Regarding the event itself, the Eida responded that they don't really care, as "the secular can do whatever they want in their own neighborhoods. As long as they keep it in their own neighborhoods we do not mix in". Interestingly, they did not act in accordance with this stated mode of operations regarding many events that have taken place in Jerusalem, such as parking lots and movie theaters open on Shabbos, non-kosher food, Intel opening, the shuk closing too late on Friday afternoon, to name just a few.. Perhaps they have given up the fight and have changed their policy, limiting their fighting to within their own neighborhood borders. Regarding the portrayal of the rabbonim in front of mixed dancing and female singing, the Eida added "we never gave any special status to the rabbonim of the Zionists. We always said that whomever serves by the Zionists has no part of the nation of Israel. Now, they are portraying the reality that the chief rabbis do not keep torah and mitzvos"
SNAP!!! Zing!!! What a knockout statement! I love it! I will be the first [to take my kids out of the Ashkenazi schools]. My daughters said to me "Father, the moment you decide, we are ready to be the first, to serve as an example on behalf of the girls sitting at home". So yes, I will be the first. It is a sacrifice and I will do it... As soon as I go out to the struggle, I expect my daughters will be thrown out of school. Even if my daughters will be thrown out - I will not allow it as I will take them out the day prior. But I am prepared for this, as a public elected official I cannot stand by. -- Minister of Interior Eli Yishai, discussing the fight to get the tens of girls still sitting at home not accepted into schools because they are Sefardi. "I will be the first"... Nu? What are you waiting for? Set the example already! Yesterday was the 70th anniversary of the date when the Mufti of Jerusalem met with Adolf Hitler..
Moshe - Just Do It! Where did this kid learn to dance like that??? Rockets shot into Israel a very short while ago, and now Israel is responding with shelling mortars back into Lebanon. Are we headed for war? I hope not. 3. Do You Run Your Synagogue Like A Business? This looks like it could be a line in Ramat Bet Shemesh or Mea Shearim, based on "Mrs. Burqa-witz" (coined by a commenter on Life in Israel), but it is an image of women lining up to vote in today's elections in Egypt.. Looking for Lakewood people who might know more information about this tidbit..
Bechadrei reported a few days ago that a group of dayanim from Lakewood and Boro Park met to discuss an issue that could have serious ramifications on divorces in Lakewood. The issue is that when a get is written, the town is identified by the closest river or body of water. Lakewood, is surrounded by 8 lakes and rivers (I don't see that many in the map below, but let's just say that perhaps I don't know how far out is still considered a lake or river connected to Lakewood, or maybe some are not shown n the map I chose). The problem is that it is not clear what is considered the closest to the town for identification purposes. A number of the lakes are equidistant from the town, and that presents a problem as to which should be used as the source of identification. The problem with choosing the wrong lake by which to identify the town is that using the wrong body of water invalidates the get. The ramifications of a new decision as to which lake should be used in the get is that it could invalidate all gittin already written in the past with the wrong lake. That would invalidate divorces and possibly even create situations of mamzerus. According to the report, a decision has not yet been arrived at in the first issue. Only after a decision is arrived at regarding which lake is the correct identifier, will the second issue, that of gittin already written, be addressed. So, any Lakewood people out there that might know more about this situation? Just as the ultra-Orthodox and the religious have issues they won't back down from, so do the secular, and the exclusion of women and women's singing are examples of such issues... solutions to the debate must be found during a process of dialogue. The three judges of the regional court in Jerusalem have unwittingly become a joke, as they made the murderers laugh when they decreed 2 life sentences plus an additional 60 years on the murderers of the tourists. Every child knows that in a short time they will be released in another deal of surrender..
People buy damaged products all the time. It is just one of those things that happens during mass production. When you buy a product and it is faulty, you either exchange it or call the company and get some sort of compensation. I have done it a couple of times. It isn't such a big deal. Rarely does it make the news, unless it was a major issue that somehow affected public safety. One such story hit the news in new York. And no, it does not seem to be such a major issue. The only reason I can think of why it hit the news is because the person involved is a semi-public figure. From his perspective, no publicity is bad publicity. As long as he gets his name in the paper, for free, all is good. According to the neighborhood paper "The Brooklyn Paper", the wife of a well-known Satmar askan named Isaac Abraham from Williamsburg was enjoying a tub of delicious Haagen Daaz chocolate ice cream when she tasted something metallic a few spoons in. She found a dime in her mouth, which she immediately spat out. They called the store, who immediately pulled the entire stock off the shelves to be safe. yada yada yada, whatever happened happened between them and Haagen Daaz regarding investigation as to how the fault happened. I don't know why, but she claims to be giving up ice cream because of this incident. How traumatic could it possibly have been to make her give up ice cream? The one thought I had when reading this was how unusual it is for Satamar hassidim to be publicizing that they are not careful about eating only chalav yisrael. They just told the entire world that they eat Haagen Daaz ice cream. Or used to. An organization that has been working in the Haredi community to raise awareness of road safety went to Rav Elyashiv to ask for a psak. The psak is being publicized as part of the project, in a publication being put out with a compilation of articles written by various people on the topics of road safety. Normally the halacha in such a case, when a person is deemed to be a rodef, is that you could kill him before he kills you. Granting a driver the status of rodef for talking on his cellphone would mean, by the definition of the granted status, that if you saw a person driving while talking on his cellphone you would be able to shoot him in the head with a gun, for example. When pressed for further explanation, Rav Elyashiv supposedly explained that the driver does not actually have a din of a rodef, but is very close to being a rodef. Can you "almost" kill him before he almost kills you? It seems the din of rodef is being given only for the sense of drama, so that the seriousness of the matter should be understood, but not for allowing anyone to actually shoot such a person in the head. Just had a report back from participants in the London Israel Fair. In total they had less than 30 people that came to their booth throughout the day. Beit Shemesh spent more of our tax money on this fair than did Jerusalem, Modiin, Ra’anana, Ashdod and Haifa. How can we publicize this travesty and attempt to stop it? This is only one amongst many trips that the mayor had us pay for that he had absolutely no impact. If we don’t voice our anger at his abuse of our tax shekels it will only continue. when he doesnt try to attract buyers from the general public we are upset at him, and now when he does try to attract buyers we are also upset at him? The fact that he met with poor results should be addressed. Perhaps he needs better advisers, different marketing strategy or whatnot. I would not exactly want to accuse him of trying too hard. By this I meant that the fact that he went, brought others with him, and got a good booth should not be an issue to complain about. One could complain that perhaps there isn't enough oversight in the City Hall to ensure money is being spent properly, proper marketing strategies are being developed, and the like. The initial complaint sounded more like the mayor is wasting our money by going to these things. Reading it again now, it might just be the additional point that they mayor went as well despite not speaking any English. In general, we accuse the mayor of not trying to attract people to the city. When he does actually go (again, it should be with the right people who can talk to potential olim, with the right marketing strategy), we should be proud that he is trying and not accuse him of abusing us. He might not be perfect even when he does try, but at least he is trying, or making the attempt to show he is trying. The original author wrote back to me that his complaint was really about how the money was wasted. My initial reading had not left me with the impression that that was the only complaint, but so be it. I organised the Beit Shemesh delegation to the Aliyah Fair in London. I feel you should IMMEDIATELY retract your statements about the City paying for a double booth. What you are saying is based on hearsay evidence and may be libellous. Beit Shemesh paid for a single booth and the organiser of the event, the Aliyah Chief in the UK Mr. Rafi Nasi GAVE us the double booth AT NO EXTRA COST. If you do noot believe me then please contact him. As to your other points - I received approval from the Municipal Council to arrange our delegation which included: Mrs. Tami Elmaleah Co-ordinator for English speaking Aliyah at the Municipality, and Mrs Miri Shalem the director of the RAMBASH MATNAS who while living in the UK was a youth aliyah Bnei Akiva co-ordinator. I myself made aliyah from the UK. Mayor Abutbul does not speak English but he spoke Hebrew to former Israelis living in the UK and who expressed interest in possibly living in Beit Shemesh. He also spoke in 7 synagogues between Friday morning when we landed and Sunday. The mayor also answered questions from parents of people living in Beit Shemesh who are concerned about the situation here. I translated for him. Since our Foreign Minister did not for a very long time speak English that is why he has translators. You may not like or agree with the policies of the Mayor, but these fairs are important to ensure the city attracts young, educated professional people and families who work for a living, otherwise they really will go to Modiin, Jerusalem and Haifa and we will be left with the rest. Rav Amnon Yitzchak always goes for the sensational. It is part of his fire and brimstone style, and it is how he is successful with the crowd that follows him. His latest plan, perhaps stunt, is that next Tuesday he will go down with a crowd of followers to the offices of the Broadcasting Authority and throw out, in large dumpsters prepared for the event, 1000 television sets, or as he calls them "temblevision" - temble being the derogatory word for an idiot. Somebody just told me the term (regarding something else we were discussing) "he is a good Polish soldier". Rav Amnon Yitzchak is a good Polish soldier. The term means that at the turn of the 20th century the Polish soldiers were well trained and fought well. By the time World War II came around they still had a great cavalry and were well-disciplined, but the German tanks flattened them. the good Polish soldiers were well-prepared to fight a war from a previous generation, and were not prepared to fight the current battlefield. Rav Amnon Yitzchak is fighting a war that was fought a generation ago. In the frum community, television is no longer an issue. Among some the fight has "been won" and they gave up on television, and among others they kept the television and the issue is now ignored for the most part. The fight was considered won. Regardless of whether it was won 20 years ago or not, television is not a worthwhile fight nowadays. It is pointless. The Internet has the potential to be a million times worse for any specific person than anything shown on television ever was. There is no point in fighting against televisions when people have internet. Firstly, most television shows can be watched via the computer and internet. Secondly, people have access to stuff much worse than anything on television. And how crazy is it that he is fighting this fight while streaming the event live on the Internet?! As someone else pointed out on Facebook - if you are looking for a free television, make sure to head on over to the Broadcasting Authority next week. You should have a great selection. It's Rosh Chodesh Kislev and Hannuka is on the way! About 5 months ago it was reported that a woman in Kiryat Malachi had gone to visit her husband's grave and discovered that in the plot she had purchased adjacent to her husbands grave was buried a different women! She sued, demanding the dead body be exhumed, and that the religious council pay 50,000 NIS in damages. The judge gave time for Chief Rabbi Amar to investigate and decide whether the body could be exhumed or not. According to Kikar, a decision has finally been arrived at. In an unusual decision, Rabbi Amar said that the buried woman should be exhumed and moved to a different grave. After attempts to reach a compromise, offering alternate plots, moving the husband's body to a different section and giving her an adjacent grave (in the original section the plots are next to each other, from head to foot, but not adjacent side by side) were unsuccessful, Rav Amar decided the only option was to remove the body and rebury her in a different plot. She was buried in a plot that belonged to someone else, and she must be moved. The body has not been moved yet, as this was Rav Amar's decision, but the court still has to give its final decision on the case before it. Over the past few days a number of interesting developments, incidents and updates have happened in the issues of the kat ha'shalim - the veiled/burqa ladies cult, and with the fight around women in the public sphere in Jerusalem. I am combining the two issues into one post, as the more I think about it the more I am convinced they are pretty much the same issue, or at least very closely connected. Rav Ratzabi, a leading rav of the Yemenite community, spoke out the other day against the fight against the veiled/burqa ladies. Rav Ratzabi said there are tzanua women who want to wear veils, and some people including rabbonim and talmidei chachomim oppose this. They have made it into a war. They are trying to prevent people from performing a mitzva. This is something we never thought would come back, but women, nashim tzidkaniyos, have taken it upon themselves and renewed it. And now to come and oppose it? Even if rabbonim cannot lead the way in bringing it back, there are those women doing it on their own and instead of being respected for it they are being shamed. They say [they oppose it] because it is different, it is attracting, it causes chilul hashem. The rabbonim who have opposed the shals never came out against wigs, they never came out against pritzus. If they came out against shals and also against pritzus, I would say it is l'shem shamayim. But it seems like the yetzer ha'ra has taken control over them. Rav Eliezer Berland, head of Shuvu Banim, also spoke out about the issue, though there are conflicting reports as to what he said. Initial reports claimed Rav berland spoke in favor of the shals, saying that all women should be wearing shals, they are adding holiness and purity. It is prohibited to look at the shape of a woman, even if she is wearing a thousand coverings. Women, Rav Berland supposedly said, should not go outside and walk around in the streets - it is assur to see a woman, even if she goes with a thousand shals and a thousand covers... Then Bechadrei got a recording of his shiur in which he said the opposite. 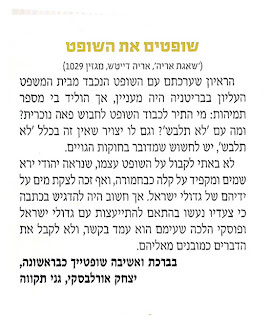 According to this report, Rav Berland said those who go in shals are building a beis hamikdash of lies, just like Chonyo built a false beis hamikdash. When a woman works on her holiness she does not put on a shal. The shal is meaningless. A woman who does not daven shacharis mincha or maariv wants to be considered a tzaddika so she puts on a shal. Then another woman who davens shacharis mincha and maariv every day and sits at the Kotel for 4 hours every day saying tehillim is no longer called a tzadika. There are some women who wear the shals who can't even hold a siddur. She puts on a shal and suddenly she is the leading tzadekkes of the generation. Some yeshiva boys in Mea Shearim tried to light a womans shal on fire. I don't think such violence is justified. Another crazy story has come out about the behavior of these women. I don't know if it is true or not, but this is what was reported: two of the leaders of the group agreed between themselves that their children would marry each other -a 16 year old son to a 23 year old daughter. The women ran the ceremony, despite the son not agreeing, and they were married (I am not sure how). Shortly after, he insisted on divorcing his new wife, but she refused to accept a get. Instead of working it out he simply went ahead and married someone else. Personally, I think this story is either completely made up or somehow confused with other stories into one mess of a story. A city councilman in Jerusalem decided he has had enough with the suppression of women's images from the public sphere in Jerusalem. He decided to take action and hung from his office window a picture of a woman. Haredi askanim were upset calling it a provocation.Meir Margalit, the perpetrator of the "provocation" responded that it is not a provocation, rather there have been cases of vandalism where signs were destroyed because they had images of women. To protest the vandalism he hung the picture out his window. Margalit added that the haredim can do whatever they want in their own neighborhoods, but they should not mix into the lives of the secular public. He even claims he supports gender-segregation on haredi buses, as long as it is only on buses in haredi areas. It has been said that even the women wearing shals and burqas are really expressing a form of womens liberation and freedom. Even though they are choosing to go 200 years backwards, they are choosing to do so and are not listening to the mens opinion or instructions. On that note, the women of the kotel are demanding equality by the Kotel. On the mens side of the Kotel area, various awnings have been installed for shade and protection from the elements, along with a large covered section within which many men can go to daven. On the womens side no awnings have been installed, and the covered section is very small. A group of "Kotel women" have requested of Rav Rabinovitch, the rav of the Kotel, that he create a covered area for the women as well. It seems this request was organized by an activist group after complaints of no covering after a rainy day, and they say that regular yerushalmi kotel women had complained to them as well. I don't know why no awnings or covered areas were installed by the women, but maybe it is now on the way. A reporter, after following all the stories of the veiled women cult, was curious how people would react to actually see one. The reporter dressed up in a burqa and walked through downtown Jerusalem in her costume - downtown being Jaffa and King George streets. It turns out people are not so tolerant even though all she was doing was walking. The police had received a number of calls about a suspicious character and a possible terrorist. After sending cops to the area to check it out and chasing her down, they discovered it was a reporter working on a story. For a long time Jews have been finding ways of serving and enjoying kosher foods that are made to taste like non-kosher foods. Mock shrimp and mock bacon come to mind at the moment, though there were probably others as well. I never really understood the need for such foods, except perhaps for baalei teshuva or converts who might miss, and have a desire for, such foods that they enjoyed previously, though at the same time I know there is nothing wrong with making such foods to taste similar to non-kosher foods. I also seem to remember some statement from Chazal, though I don't remember the source, that every non-kosher animal has a kosher animal that tastes the same. When Hashem created something that is prohibited, He also created a way to have the same thing in a permissible manner. Srugim is reporting that at a conference held in Kaplan Hospital (in Rehovot) discussing the future of food service in hospitals Chief Rabbi Yona Metzger announced that he has recently approved the import of a kosher goose from Spain that expert chefs testify taste exactly like pork. They are not similar. According to Rabbi Metzger based on what he was old by experts, they are 100% the same. The Goose That Used To Be Our Pet. Rabbi Metzger explained that there is nothing wrong with eating foods that taste like non-kosher foods. The gemara talks about a case of Yalta, the wife of Rav Nachman, who had a craving for pork. Rav achman instructed her to eat the Shibota fish which is known to taste the same. Mock foods are not the same as real foods. Fake liver is not the same as real liver, no matter how good it is, and mock shrimp is not the same as real shrimp, I don't believe, and mock bacon can't be as good as real bacon. If this goose meat ever shows up on the shelves of my local supermarket, I am looking forward to trying bacon and eggs. I would never try mock bacon, but this is the real thing, supposedly, and not just something made to taste like something else. The latest miracle story to stir the pot in Bnei Braq is a miracle from rav Chaim Kanievsky that helped somebody get a shidduch. 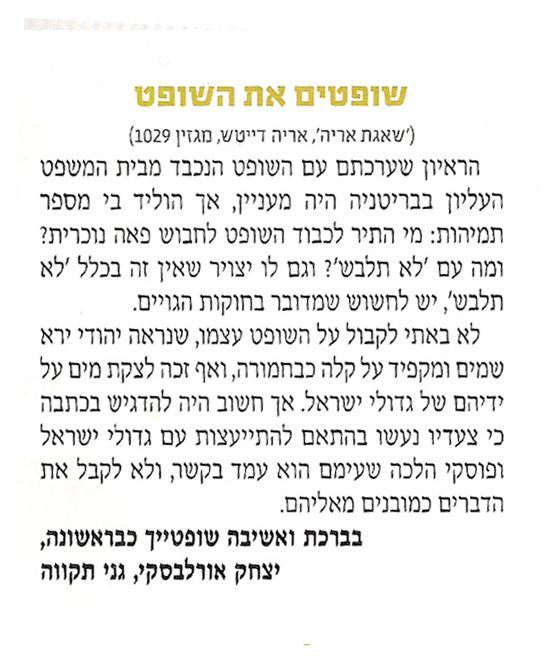 The story, as reported by Kikar, goes that 2 months ago a 30 year old, "older bochur" went to Rav Chaim Kanievsky and asked for a bracha for finding his soul-mate. Rav Chaim asked him about himself and then said "Your zivug has not yet been born, you should have bracha v'hatzlacha." The guy was disturbed by hearing that. Is he going to have to wait 20 or so more years for her to be born and grow up? Sure enough, he returned a few days ago saying he was engaged. he explained that he got engaged to a convert, who only completed her conversion a month ago. A convert is like a newborn, so when Rav Chaim had given him the bracha, she had not yet been born. Is Changing A Street Name Anti-Democratic? Interestingly, MK Michael Ben-Ari recently proposed that the name of a city street in Ashqelon be changed. Ben-Ari proposed that the name of Rabin Street in Ashqelon be changed to Moshe Ami street. Moshe Ami was the recent victim in Ashqelon of a rocket attack from Gaza. Yitzchak Rabin had "promised" after Oslo that they would never dare shoot rockets at Israel from Gaza. Considering how many rockets have been shot at us form Gaza, Ben-Ari felt it appropriate to rename the street after a local victim rather than after Yitzchak Rabin. The memory of Yitzchak Rabin is not specifically of him, but of the assassination and of the incitement and violence preceding it. Removing his name from different sites is an attempt to blur the discussion of democracy and give anti-democratic forces more strength. Yitzchak Rabin was a general, chief of staff, defense minister, prime minister and filled many roles in the building of Israel, and does not encapsulate itself in one statement from one agreement at Oslo. Ariel Sharon did more than just the disengagement, and Menachem Begin did more than just give Egypt the entire Sinai, and Moshe Dayan did much more than just err in the Yom Kippur war. Even without agreeing with what he did, limiting his entire memory to just one thing is narrow-minded and indicates demagogic though. Other prime ministers have run the country since Yitzchak Rabin, and you cannot blame him for everythign that has happened since. Had he not been murdered and been able to continue his work, maybe his promise would have been true. Many prime ministers have ruled since, each effecting changes along the way, and he cannot be blamed for everything since. Ben-Ari responded that the request to change the name f the street name is a legitimate request to consider, and filing a complaint instead of discussing the merits or problems is another leftist attempt to silence the public debate. I find it very interesting to watch the evolution of Haredi politics. In Jerusalem the Haredi community has grown tremendously, with it they have attained great political influence. Under the mayorship of Ehud Olmert they achieved levels of influence never before dreamed of, and that led to even achieving the election of a Haredi mayor. For whatever reason, they lost some of that power after serious infighting. One could say the Haredi mayor was successful because he was supported by many secular as well, considering how well he was liked for his philanthropic deeds and his success in building an empire out of Yad Sarah. The next elections saw askanim running for power, rather than well-liked successful businessmen and philanthropists, and perhaps that turned people away, along with the division of votes because of infighting. And that led to the election of Nir Barkat as mayor instead of the haredi candidates. one could even say that the haredi influence in Jerusalem politics has been on a downswing ever since. Many of the tactics, and political maneuvering, had been based on relying on low voter turnout among the secular public, multiple secular candidates splitting the secular vote, and maintaining tight ranks among the religious and/or haredi voters while getting them to vote in high percentages. With the tables turned on them in Jerusalem the haredi vote was split, the secular were motivated and had high turnout (not as high as haredi, but higher than normal), secular unity around one candidate, and the like, they kind of lost their way. One could look at Bet Shemesh as a good example of haredi unity, even among different groups that normally dont necessarily work together, has helped them achieve great success. In Jerusalem now, reports have it, the Haredi community has realized its mistakes in the previous elections and is looking for a way out. Instead of deciding which askan is the most powerful, best connected to which rav or admor, and promoting him as the candidate, they are going back to the basics that brought them the success of the 90s and the early 2000s. Reports have it that the haredi askanim are seeking out a secular candidate who is sympathetic, or friendly, to the haredi community who they feel they can support in the next mayoral elections against Nir Barkat (in two more years). They have realized that a secular candidate, and only presenting one candidate, will retain the regular haredi unified voting, but will also split the secular vote, as many secular would also support such a candidate (rather than a haredi askan who would only have support within the haredi community). the evolution of haredi politics in Jerusalem saw the power rise, increase to the point where they thought they controlled the city, then dropped considerably leaving them in disarray, and now they are getting back to the basics. Sorry for no posting today. 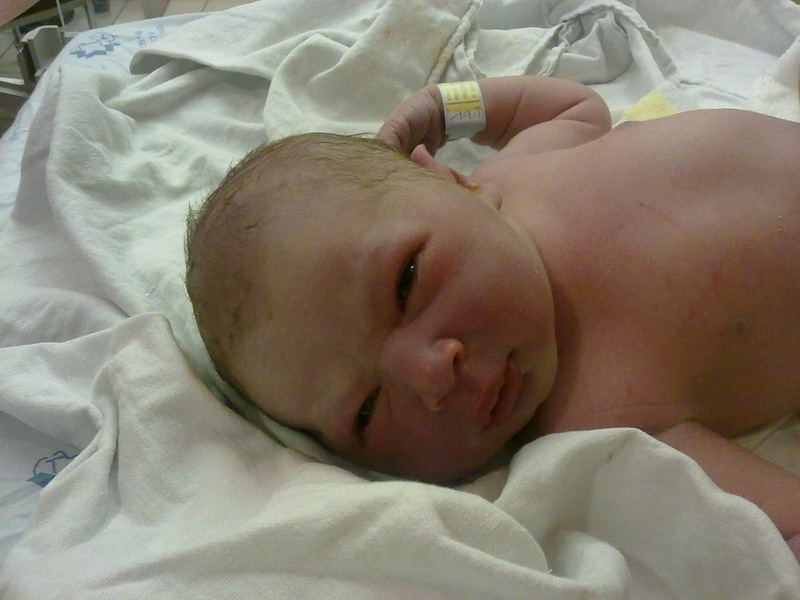 I had a couple posts in draft that were due to be finished, but I got sidetracked going to the hospital and having the baby girl pictured above! The Middle East is currently facing a major crisis. On the one hand there is more instability in the region, and a higher likelihood of terror because of the loss of control by governments. And we face the threats of missiles – nuclear and conventional – from Iran and Syria. On the other hand, there is no doubt that the Arab states around us are weaker, militarily and certainly economically, to the extent that their ability to enter into an arms race with us will be very limited over at least the next 5 to 10 years. Some of these countries are near bankruptcy, and as a result Israel did not need to overspend on defense needs, certainly not beyond what the Brodet Committee recommended to bring Israel's defense facilities up to par. My first foreign policy directive on day one of my presidency would be recognizing Jerusalem as the capital of Israel and moving the U.S. embassy from Tel Aviv to Jerusalem.... Israel should not cede any land -- not one acre, not one square foot, not one inch -- to the Palestinians in order to make peace. Benetton has been running an ad campaign around the world called "Unhate" in which they depict world leaders kissing. Not just the formal cheek to cheek air kiss, but mouth to mouth kisses. One of the images displayed is that of the Pope kissing an Imam of Cairo. And Rome is upset. They consider it demeaning and disrespectful. They demanded that Benetton pull the advertisements. The Vatican says they are going to sue Benetton for the damage caused to the believers by this photo. This led to an interesting question. Someone sent a question to Rav Baruch Efrati on Moreshet asking what he thinks about the campaign and specifically if it is allowed to look at the pictures and laugh at "Anshe Dat" - clergy. Rav Efrati answered that it is not the way of the Torah to look at men kissing each other on the lips. As well, one should protest the demeaning depiction of the prime minister, which is also deprecation of the nation and of malchut yisrael. Regarding laughing at clergy, it is not appropriate to laugh at the Muslim cleric, and one must honor him as a public leader. Even though the Rambam called Mohammed a crazy person, meshugga, it was not as a joke being humorous, rather it was meant seriously. Those were the desert cave hallucinations prophesied to say the angel Gabriel had showed him prophecy. However, at the Pope there is no problem to laugh or to make jokes and scoff about. The gemara says leitzanus is prohibited, except for leitzanus of avoda zara. The gemara brings a passuk to support this position, suggesting that not only is it allowed to scoff at avoda zara, but it is even encouraged and is a value. Nowadays, where we must be concerned about arousing anger against the Jews, one should not do this publicly, but to laugh when one of their people put up demeaning pictures of the avoda zara, that is definitely allowed. Rafi Yohai is the director of the fraud department of the Rabbanut kashrut division. Yohai does great work keeping track and removal of products, restaurants and companies with fraudulent hechshers. Yohai announced that after many complaints, the Rabbanut has decided to obligate yeshivot to hire a certified mashgiach to be in the kitchen at all times and guarantee the kashrus of the yeshiva kitchen and food. Yohai says it is incomprehensible that a restaurant that serves 20 tables with only a dairy or a meat kitchen is required to have certification and a mashgiach, while a yeshiva that serves hundreds of people, serving both dairy and meat at different meals on the same day often from the same kitchen do not need a mashgiach. Often the kitchen staff of a yeshiva might have one person who is overworked, they might have an arab or two who don't know anything about kashrut, maybe they have a couple of the yeshiva students take turns helping out at times or sometimes someone who oversees everything who sticks his head in once in a while. In the meantime, Yohai says, they have received many complaints from yeshiva students and families regarding problems in the kitchens that just are not dealt with. 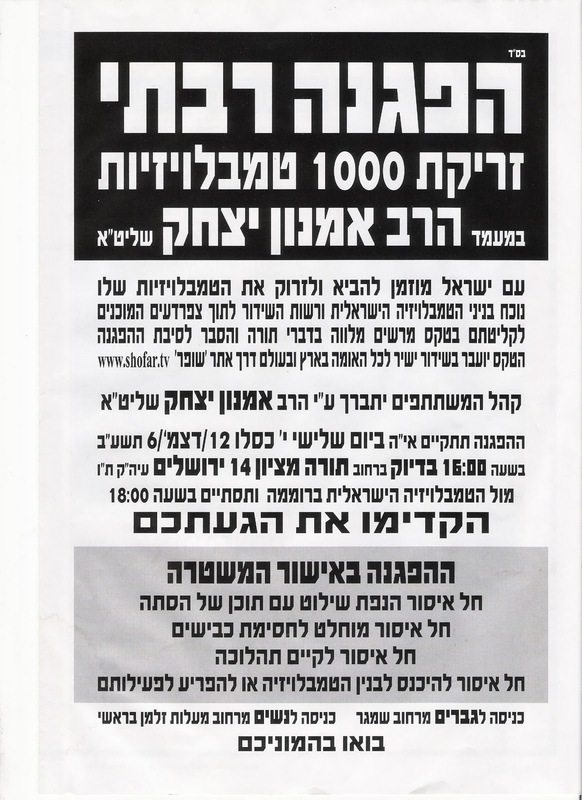 So, the Rabbanut wants to obligate yeshivas to hire a mashgiach. The yeshivas, already strapped for money, say it is not an issue, the kitchen is under the auspices of the Rosh Yeshiva and he makes sure everything is ok. As well, the rabbanut has enough issues to work on around the country, enough problems to solve, and better they should work on that and leave the yeshivas alone. To that Yohai says the rosh yeshivas are not mashgichim and they are busy running the yeshiva. Even if they set policy, they are not actively running the kitchen and they do not have time to, and therefore they do not really know what is going on in the kitchen. 1. Saying there are other problems go deal with them, is not a confidence builder that there are really no problems. Just because it is a yeshiva, with a great rosh yeshiva at the helm, does not mean there are no problems in the kitchen. 3. We also don't have mashgiachs in our home kitchens, and people can make mistakes. Is the yeshiva kitchen more like a home kitchen, serving only to the people in the yeshiva and its guests or is it more similar to a restaurant kitchen which is operating as a business serving anyone who sits down and pays? 4. Can the yeshivas, and the society they are in, teach and inculcate in the students the need for mehadrin standards and insistence on proper supervision while at the same time refusing to implement the same on themselves? 5. Maybe there will be, or maybe there should be, different hashgachot for different yeshivot. Some yeshivot will be fine with the Rabbanut mashgiach and hechsher, while others will prefer to do this under the Rubin hechsher. Hassidic yeshivot might go with a hassidic hechsher, while other yeshivot will only use the Eida hechsher and mashgichim. In Bnei Braq they will only use She'airis hechsher and mashgichim and sfardi yeshivot will use either Machpud or Atara, depending on affiliation. 6. The articles did not specify if these yeshivot are Dati Leumi yeshivot, Haredi yeshivot, or both. I would assume it refers to all yeshivot, no matter what sector they are associated with. That being the case, will yeshivot that teach to only eat mehadrin standards with perhaps mashgiach temidi in restaurants, also be obligated to hire mashgichim at that level, or will basic mashgichim and supervision be enough? This picture was taken at the renewed protests in Egypt. The women are herded and tied together, and the men are pulling the "leash (see on the right side) and moving them as necessary. According to various websites, this is done as a standard precautionary measure to prevent the women and men from mixing. Gender Segregation at its best. This is the womens section at the protest. The medical residents demanded that I intervene in the crisis. But who said that if i intervene it will be in their favor? On Friday the 25th of November (next week) the British Ambassador to Israel, His Excellency Mathew Gould, and the Head of the UK Parliamentary Foreign Affairs Committee, Hon. Richard Ottaway MP, will make an official visit Lemaan Achai, as part of their general visit to Beit Shemesh. It is important for future relations that we impress his Excellency with the quality and quantity of resident Ex pats, and the contribution of Lemaan Achai to the community. If you would like to be officially invited to His Excellency's visit to Lema'an Achai, please contact me (david @ lemaanachai.org), and/or to the City Reception at Pais Eshkol, please contact Harley Stark from the Bet Shemesh Municipality (harleystark @ gmail.com). P.S. Do you have any Union Jacks (British flags)? Or know where to get them in the coming days?? Any other British patriotic paraphernalia, T Shirts, etc? The Burqa Ladies Fight Back.. Despite signing the pashkevil against the group, Rav Moshe Bransdorfer (I counted four Bransorfers signed on the pashkevil) responded to a "shal-wearer" who called him to ask if she would have to stop wearing the shal now that the Eida has come out against it. Rav Mosh Bransdorfer's response was that the Eida did not come out against wearing the shal (veil or burqa), rather against the group who do it in a non-tzniyus way and also change other traditions of the Jewish home. Rav Bransdorfer said that she could continue wearing the shal if it was done in a tazanua way, with the husband's approval and without all the surrounding issues, and he strengthened his words by adding that his own mother wore a shal. Ladaat has an audio recording of the call. Interestingly, the group of shal-wearers have responded (do they have an official spokeswoman?) to the Eida's onslaught with a letter/pashkevil of their own. They say the Badatz has no authority over them, and each person can chose ask his or her own rav to listen to and ask what to do. As well, they say the attack on them is just giving strength to those who attack religion. And, attacking the group because of claims that some of the women are doing bad things is similar to those who attack the entire general haredi community because of the bad actions of a few haredim. The construction of the new city in the Galil, really intended for Haredim but technically open to anybody, has overcome the final hurdles and is set to be on it's way! The final hurdles, well, probably not really the final hurdles, as I am sure more will crop up along the way, were the various appeals against the construction for various reasons such as being designated only for haredim, being built on private land that was taken, and others. The appeals were rejected, and the plans can now move forward. People all around the country are complaining about a shortage of available housing and a lack of affordable housing, but when they actually want to build nobody really wants it near them. they want the housing but only "over there", never "over here". Especially when it is for haredim. Is This What The Kollel System Leads To? Is this what the kollel system leads to, after two generations, a global economic crisis, and not nearly enough money to go around? The other day someone advertised in the Yated that they are selling the rights to name their baby, in order to cover their debts. Mevaser ran an ad yesterday of a family in Yerushalayim, an avreich, his wife and 10 children that can no longer afford the rent, cannot afford to buy an apartment, and are not willing to move out of Jerusalem. They advertised that they are looking for someone to donate an apartment to them. The worst, and perhaps the saddest, of these stories is a report yesterday in Ladaat of an avreich in Brachfeld - Modiin Ilit who was caught stealing Materna - baby formula - from the local store. This has been going on for a while, and it took the store some time to catch the perpetrator of the theft. The avreich confessed after having been caught, and explained that he has 5 children at home to feed and cannot afford it. Maybe these are exceptions to the rule, people who fell by the wayside, got hurt harder than most by the system. Or maybe it is starting to become a pattern, where people cannot get by on the kollel stipend any longer, and the extra money in addition to that is getting harder to come by. A rosh kollel I know who was paying a very good salary (as kollel salaries go) recently told me that he had to cut all the extra money and is now only giving the misrad ha'datot money. Letter To the Editor: The Judge Wears A Wig??? This past week's Mishpacha (Hebrew) Magazine had a Letter To The Editor that I'd like to point out. I have seen many similar letters over the years, and it bothers me. The week before, Mishpacha ran an article about a Jew in England who has reached the pinnacle of the justice system and is a justice on the Supreme Court of England. I no longer have the original article, but it was interesting, dealing with his relationship with many rabbonim and gedolim and the jewish community and issues in general. [The interview with the judge of the Supreme Court was very interesting but raised a number of questions: Who allowed the judge to wear a wig? What about "Lo Tilbash"? And even if there is no issue of "Lo Tilbash", there might be an issue of "chukas ha'goyim". To be honest, when I first started reading this letter, and I got to the point of "Who allowed the judge to wear a wig? ", I said to myself - his issue are that wigs are not allowed? not tzniyus? What does he want - the judge should wear a tichel??? I thought that was funny. Then continuing on I saw his issue was with the Lo Tilbash. The answer seems obvious to me, even if perhaps some might not agree - this is not the type of wig that is a woman's wig, and therefore is not under the "Lo Tilbash" issue. It is unique for the justices, most of whom anyway have always been men, and therefore not an issue. Then his suggestion that it might be "chukas ha'goyim" led me to wonder. His wearing a wig is chukas ha'goyim? His whole existence on the court is dealing with chukas ha'goyim! And he should be worried about the wig?? In Israel the chief of the Beis Din ha'Gadol had been offered the position of a Supreme Court Justice and had supposedly been told by gedolim not to accept it so as not be part of "erchaos" - the secular court system, the man-made laws rather than the laws of God - and this fellow is worried about the wig being chukas ha'goyim??!! Besides for the specific points, as mentioned they each can easily be responded to, what bothers me is more the attitude that people feel it is ok to poke their nose in the relationship others have with God. If this fellow is frum, and he is, and he has a relationship with rabbonim and gedolim, can't we just assume he asked his own questions on issues he needed resolved? Do we really have to look for the things other people might be doing wrong? If he was harming people with his actions or court decisions, by forcing non-Jewish ways on the jewish community, I could see room for such a discussion of justifying, or lack thereof, of his actions. But to dig into his personal life and ask how he can do this or that, is just too much, and unfortunately too common. New Jersey Real Time News is reporting that the township of Lakewood has requested that the drivers of the school buses work on Thanksgiving to transport the 18,000 Orthodox children to school that day despite it being a holiday and their day off. 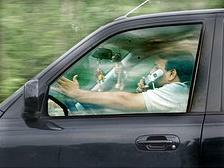 The explanation for the need, and ergo the request, is that there are so many kids that it has become a safety issue. To compensate the drivers who would be giving up their vacation day and time spent with family, a member of the school board said he would personally pay to provide each driver with a pumpkin pie, or a different dessert. Instead of offering a pie for dessert, he should be offering to pay them time and a half, or double overtime. If I was a bus driver in that position, I don't think I would agree to work for just a pie, but I might consider it for double overtime. The request itself is brazen, and I think, inappropriate. How would a Jewish employee of the state, or of the city, feel about being asked to work on his holiday, on Pesach or Rosh Hashana, because they need his work to be done, even for "safety" reasons? No Orthodox Jew would agree, and most would even consider a religious discrimination lawsuit against the city for asking. How private school systems have busing provided by the city I don't know. Regardless of that, they should let the drivers have their day off, enjoy their time with their families, and find alternatives for that one day. UPDATE: Someone from Lakewood pointed out in the comments that the law states that as long as the private schools are in session, between September 1 and June 30, transportation must be provided and the bus drivers must drive. I think it was a mistake for Obama to call on Israel to freeze construction instead of starting from the same place that we stopped the negotiations. Obama has very few achievements in advancing peace between Israel and the Palestinians during the three years of his term.. 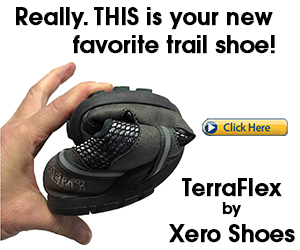 This is a pretty funny commercial..